NEW Creative Cloud versions of workbooks coming Summer of 2016! Maybe a workbook is more your style? I have those, too! This PDF workbook follows my 2-day Introduction to InDesign workshop and is also perfect as a standalone volume. The book takes the student from the basics, such as getting familiar with the Adobe workspace, working with pages and layers, to advanced type, graphics, and table manipulation, all the way through print and PDF output. 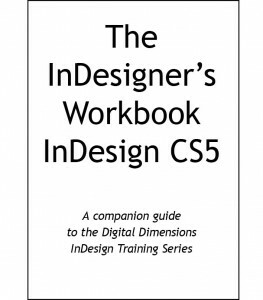 The InDesigner’s Workbook is designed for those new to page layout, or those migrating from QuarkXPress, Pages, or Microsoft Word. This edition covers InDesign CS5. I am currently working to update this title to encompass InDesign CC, which will also be available in interactive formats. An email will be sent for you to download the updated static PDF version free of charge* once it’s released. *If you change your email, I won’t be able to contact you. Copyright 2010-2016 Erica Gamet. You may print one copy for your own use. No part may be reproduced, either digitally or reprographically, in any manner for any reason without the express written permission of Erica Gamet. This PDF workbook follows my 1-day Introduction to Illustrator workshop and is also perfect as a standalone volume. The book takes the student from the basics, such as getting familiar with the Adobe workspace, working with artboards and layers, creating with vector shapes and working with colors, to advanced type, placed graphics, and object manipulation, all the way through printing and exporting. 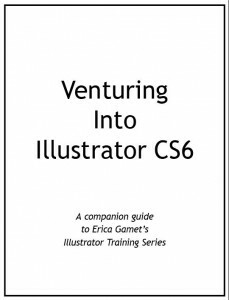 This edition covers Illustrator CS6. I am currently working to update this title to encompass Illustrator CC, which will also be available in interactive formats. An email will be sent for you to download the updated static PDF version free of charge* once it’s released. Copyright 2013-2016 Erica Gamet. You may print one copy for your own use. No part may be reproduced, either digitally or reprographically, in any manner for any reason without the express written permission of Erica Gamet. Erica Gamet’s ID Power Pack is a collection of production timesavers for the InDesign user. 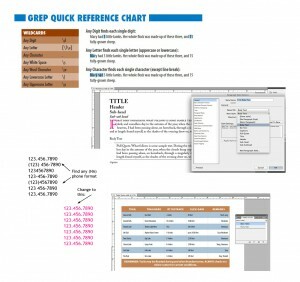 The pack includes GREP searches, powerful text styles, table and cell styles, templates for often-used layouts, sample tables, PDF and new document presets, and other production goodies. The Power Pack saves you having to perform much of the grunt work and lets you get right to producing. I hope you’ll enjoy my ID Power Pack and find it useful in your production workflow. Please let me know what you think, and what I should add in the next version. 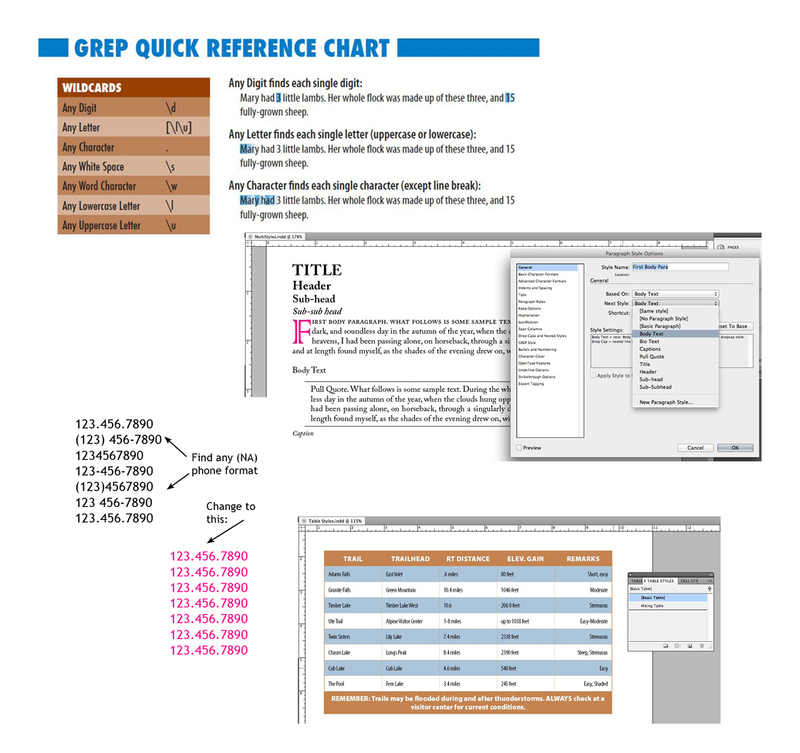 If you’re new to GREP in InDesign, or have been using it for a while now, you’ll be glad to have this handy GREP reference at the ready! 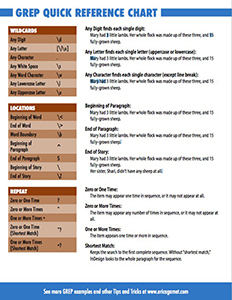 Click the image to download my Free GREP Cheat Sheet!